The Rain or Shine Elasto Painters caught fire in Game 2 of their Semifinals series against Magnolia. Their explosion from beyond the arc was the main reason for their 93-80 win. The Elasto Painters have now taken a two-game lead in their best-of-seven series. Rain or Shine erupted for 16 three-pointers in Game 2. They got the outside ball to fall at a very tidy 43% clip. 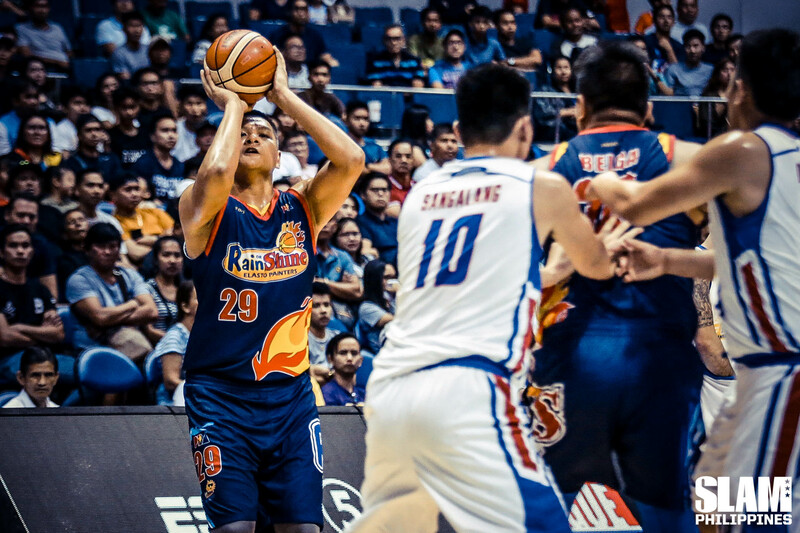 Seven Elasto Painters had at least one three-pointer in the game, with six hitting multiple treys. Ed Daquioag stepped into the starting role for Maverick Ahanmisi and led the way with 19 points built on three treys. Norbert Torres scored 16 points, and hit all four of his shots from the outside. Magnolia got team-high 13-point efforts from both Robbie Herndon and Ian Sangalang. Torres set the tone for the game in the first period. He carried almost the entire Rain or Shine offense in the first 12 minutes, scoring 13 points during that stretch. He nailed his third trey of the period midway through the first quarter to give the Elasto Painters a five-point lead. Even though Rain or Shine only took a one-point lead heading into the second period, they held the momentum early in the game. The rest of the team joined Torres, finding their rhythm from beyond the arc. Torres, Daquioag, Mark Borboran and Rey Nambatac each hit one three-pointer during a 12-3 run midway through the second period. Nambatac and Gabe Norwood added two more treys to give the Elasto Painters a 15-point lead with 4:40 left in the first half. Rain or Shine settled for a nine-point halftime lead. The Elasto Painters poured on the outside buckets in the second half. Daquioag nailed a three-pointer midway through the third period to stop a Magnolia run and restore a double-digit lead for his team. Borboran, Norwood and James Yap started the fourth period on a 9-2 run, all on shots from the outside to put the game away.